When I was a young bright-eyed seminary student. God introduced me to another young radical seminary student and, we became life-long friends. Our paths took us in very different directions but through all the ministry challenges and movements of God among us, we remained friends and hopeful about the church’s future. During our time at Seminary, we said, “The church needs a second reformation.” The first one was a course correction of some major theology issues plaguing the church. This new one is about correcting action that is crippling the church: releasing the people of God. In this next series of blog posts, I will unpack more what that means and pray it will help empower the church to understand it was made for more. Made for more was the theme of a conference I just attended and it rekindled in me the ideas I and this young seminary friend thought and wrestled with some thirty (oh my. has it been that long?) years ago. Here is the scriptural foundation for this series and a little snapshot of what is coming. We were made to be more (the believer’s identity in Christ), made to do more (purpose) and made to go more (mission impact). Stay tuned I think this will be a blessing to you and your ministry. The series will launch next week on Tuesday. Think about the most tired you’ve ever been at work. It probably wasn’t when you stayed late or came home from a road trip — chances are it was when you had someone looking over your shoulder, watching your each and every move. “If we know that micromanagement isn’t really effective, why do we do it?” asks entrepreneur Chieh Huang. In a funny talk packed with wisdom and humility, Huang shares the cure for micromanagement madness — and how to foster innovation and happiness at work. The glory that you have given me I have given to them, that they may be one even as we are one,  John 17:22. One of my readers picked the word unity for 2019. I love the word unity. The world would be a better place if we could all come together and move forward as one. What is the source of our unity? Can unity be a bad thing? It can. I love how Charles Spurgeon explains unity. “A chorus of ecumenical voices keep harping the unity tune. What they are saying is, “Christians of all doctrinal shades and beliefs must come together in one visible organization, regardless… Unite, unite!” Such teaching is false, reckless and dangerous. Truth alone must determine our alignments. Truth comes before unity. Unity without truth is hazardous. Our Lord’s prayer in John 17 must be read in its full context. Look at verse 17: “Sanctify them through thy truth; thy word is truth.” Only those sanctified through the Word can be one in Christ. To teach otherwise is to betray the Gospel.” – Charles H. Spurgeon, The Essence of Separation, quoted in The Berean Call, July 1992, p. 4. We must center unity on truth. Jesus wants us to live as children of God but united for the sake of unity. It unites us for a common purpose, as sent on a common mission, to proclaim the incontrovertible truth of God’s Word. As John reminds us in John 8:32. “Then you will know the truth, and the truth will set you free.” May this truth bring us unity. Keep us I pray united around Your Truth. Guide our hearts and lives as we read Your Word and study the Bible. Prevent us, Lord, from being led astray into any false teachings sweeping through the Church today. Give us a discerning heart and help us to find faithful teachers who teach the whole council of God. May Your Word of Truth unite Your Church, around a common mission and a common purpose. May we grow in the grace and in the knowledge of the Lord and Savior Jesus Christ. In Jesus Name we pray. Amen. The Holy Bible: English Standard Version. (2016). (Jn 17:22). Wheaton, IL: Crossway Bibles. When this happens to the people of God, they wander aimlessly and are easily attacked and became food for their great enemy Satan and the world. It is the role of the shepherd to care for the sheep not feed on them. Dear Father God, I pray for you to provide Your flock with faithful shepherds who love the sheep as you do. In Jesus name. Amen. The Holy Bible: English Standard Version. (2016). (Eze34:1–6). Wheaton, IL: Crossway Bibles. Jeffery, P. (2004). Opening up Ezekiel’s Visions(p. 103). Leominster: Day One Publications. The Holy Bible: English Standard Version. (2016). (Mt 9:35–36). Wheaton, IL: Crossway Bibles. Next Week the Series Continues: God’s heart reflected in going after the Scattered. When I work with churches seeking a new pastor I usually ask the question, “What kind of pastor are you looking for?” Depending on what transpired before with the last pastor the answer may vary. If the congregation is coming out of a difficult period and has lost is ministry mojo, they will say, “we want a take-charge type of shepherd.” That response makes me nervous, so I probe a little deeper. Define what qualities that pastor possesses. “We don’t care if he is black or white, young or old, just a guy who will take the bull by the horns and lead us out of the abyss of mediocracy. We want to get back to the good old days.” Then the next question out of their mouth is, “And by the way, are you available?” To which I respond, “NO!” What the congregation wants is, Jesus. It was a typical practice for visiting teachers to be invited to read the Scripture and even to speak. So, the fact that Jesus was asked to speak indicates he had already established a reputation as a teacher. Jesus was recognized as a teacher even by his opponents, but what amazed the crowd was how different His teaching was, He had a unique authority. Religious leaders of that day taught the same way. They would read lengthy quotations from the Law and prophets with memorized comments from long gone scholars to supplement the teaching. This lecture style is my worst educational nightmare. Just get me a pillow. How blessed we are that God can work through any style to communicate His message of grace, love, and forgiveness. I am sure the people listened reverently and respectfully, but you wonder how many went away feeling unfulfilled? Jesus comes along, and His approach is refreshing. It seems too different. Immediately this young teacher got the people’s attention. The verse above has an interesting element in the original translation: “and dumbfounded were they at his teaching.” In other words, the people were speechless. They were struck by a blow, dumb with amazement. Why was this the case? Understandably, the scribes taught from a second-hand knowledge of the Scriptures, but Jesus taught as one who had personal experience. Surprisingly, Jesus taught as an insider. He did not report the facts; He shared what He knew from His personal relationship with God and being the centerpiece of the Father’s plan to rescue His people from sin, death, and the Devil. When the man with an unclean spirit appears on the scene, Jesus’ words now go into action. In a later post I will dig deeper into the issue of “unclean spirits,” but for now I will leave you with this thought. We tend to deny the reality of demonic possession. Even in western Christian society, we dismiss the demonic as mental unbalance, or physical abnormalities. There are real 21st century unclean spirits. Flip on your television, and without much effort, you will get a sense of uncleanness. Not to mention the unclean spirits that we can find on the internet with the click of an innocent email or ad. Just think of what evil our children have access to at their fingertips? And don’t get me started on the drug problems people are fighting today legal and illegal. We have our demons. We also have our champion. Jesus rebukes the unclean, and the unclean spirit obeys Him because He only spoke as one who had authority He actually has power. The Holy Bible: English Standard Version. (2016). (Mk 1:23–27). Wheaton, IL: Crossway Bibles. Several of my readers picked the word restoration for their word for 2019. The key to restoration, is you can’t have restoration until something breaks and it needs repair. Usually that something is severely damaged. This illustration helps frame our devotion. A few years ago, an angry man rushed through the Rijks Museum in Amsterdam until he reached Rembrandt’s famous painting “Nightwatch.” Then he took out a knife and slashed it repeatedly before they could stop him. A short time later, a distraught, hostile man slipped into St. Peter’s Cathedral in Rome with a hammer and smashed Michelangelo’s beautiful sculpture The Pieta. Two cherished works of art were severely damaged. But what did officials do? Throw them out and forget about them? Absolutely not! Using the best experts, who worked with the utmost care and precision, they tried to restore the treasures. One of the foundational grace passages of Scripture is Ephesians 2:8-9 “8 God saved you by his grace when you believed. And you can’t take credit for this; it is a gift from God. 9 Salvation is not a reward for the good things we have done so none of us can boast about it.” It is one of the most freeing passages. Paul states God restores fallen humanity by His grace and His grace alone. We play no role in this restoration it is a gift. Here is where the above illustration comes into play. When we ask why did God restore? Why does it even matter to an All-powerful Being? The often skipped following verse explains the mystery. “10 For we are God’s masterpiece. He has created us anew in Christ Jesus so we can do the good things he planned for us long ago.”We matter to the Creator because humanity is His crown jewel, His masterpiece. God cares because every one of us were uniquely created for a divine purpose. So, what do you do with something unique and valuable when it is broken? You spare no expense to restore it. What did it cost God to restore His broken masterpieces? His one and only expert repairer, Jesus Christ. Thank you, for loving us to so much that you sent Your son, Jesus Christ to restore the damage sin caused Your people. Paul reminds us of the repair work of our Savior. “18 And all of this is a gift from God, who brought us back to himself through Christ. And God has given us this task of reconciling people to him. 19 For God was in Christ, reconciling the world to himself, no longer counting people’s sins against them. And he gave us this wonderful message of reconciliation.”2 Corinthians 5:18-19 Because of what Jesus did for us we are now also in the restoration business. Help us be Ambassadors of restoration. In the precious name of Jesus Christ. Amen. You must abandon your preconceived notions about community. “To enter into true community, our ideal community must be surrendered.” – “Called Together: A Guide to Forming Missional Communities.” When we think of forming a community, our rose-colored glasses picture a place where everyone gets along, and conflict is absent. While this lack of discord would be lovely, it is unrealistic. As long as we live on this side of heaven, sin will always disrupt the community. Conflict, tension, and disagreements in our relationships do not surprise God in fact, these moments afford, Him the opportunity to point us back to the grace and forgiveness offered through Christ. We should expect even welcome imperfection, as grace moments. Remember putting your face above a headless frame painted to represent a muscle man, a clown, or even a bathing beauty? Many of us have had our pictures taken this way, and the photos are humorous because the head doesn’t fit the body. If we could picture Christ as the head of our local body of believers, would the world laugh at the misfit? Or would they stand in awe of a human body so closely related to a divine head? – Dan Bernard. When we stop and look at the parish, this statement seems fitting. We have the perfect head of Christ on the imperfect body of the church. It seems odd to be a community who carries out our mission and make a kingdom difference we must embrace this imperfection. Believers live with the anxieties this absence of perfection brings. The church’s deficiencies allow for the unbelieving world to see a transparent organization that unlike many organization give and receive grace. Members of this flawed community by God’s grace forgive one another and receive forgiveness all under the work of our head Jesus Christ. When I was a parish pastor, I devoted most of my time with church folks. Which is positive but you can get a little too comfortable in that setting and forget there are other people around you whose lives may be less neat and tidy. Not implying that church folks don’t have their issues because we do, which is the point that Paul establishes in the verse above. It is a caution for Christians not to get too high and holy and become judge and jury when we, in fact, are suffering from the same sin condition. To be a part of a transformational community means we embrace brokenness. We are all broken, we all fall short of the standards of God. In a Christian community, we point each other back to the forgiveness of the cross. Upon further review and distance, whose fault is that? Are churches sending the wrong message to Christ’s followers and to those we are attracting? Do church leaders have a pathway to make disciples or a strategy to attract customers to improve the ministries bottom line? The answer is not an either/ or, but a both/and when times get tough and dollars tight you will drift toward survival. Survival mode leads to an overemphasis on transactional ministry model. When I graduated from the Seminary, our commencement speaker made a horrible analogy. He said, “When you get into the parish view your people as cows, not pigs. Cows you can milk for years. Pigs are only useful when they are killed for food.” I was stunned and horrified by that example. This is my flock he is talking about. I am called to care for them provided them with ministry services not milk them and cast them aside. We are called to shepherd. A word of caution of we turn the church into an organization which only provides ministry services, i.e., Sunday school, Bible classes, various affinity groups we risk shifting our congregations into a transactional consumer driven destination. Value the transaction over relationship. Paul Hiebert makes this observation in his book, “Transforming Worldviews” about the church. When our churches reduce ministry to service-rendered (transactional), budgets become inundated with programs, and we pray these programs are what our members (customers are seeking.) Are these programs changing lives? 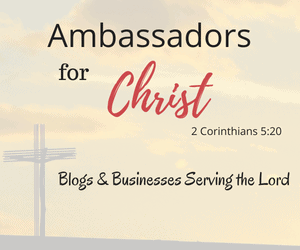 Do they help make disciples? To be fair some do, but that is not usually what the ministries are created to accomplish. Our focus is on attracting people to our church to get them to buy into joining and being a repeat customer. This must be balanced with creating a culture and space for relationships, or our ministry can become mainly services provided driven. I am aware the term “transformation” makes people nervous. Allow me to ease your minds, The Biblical concept of transformation flows from a personal relationship with God. It is a Romans 12 concept, “2 Do not be conformed to this world, but be transformed by the renewal of your mind, that by testing you may discern what is the will of God, what is good and acceptable and perfect.” Breathe easy, I am not inviting you to go off the deep end spiritually, into some touchy-feeling time of internal soul-searching. A transformation ministry mindset is God working regeneration of our being, our thinking, and changing our families and communities. It God doing a work in the heart and soul of our church community and our church’s community. It is reflected in how we witness and share the truth in the communities that called the church to serve with love and compassion. I truly believe people want their lives to make a difference. People desire to live lives that are transformed by the power of the Gospel. These converted people ask different questions about their faith journey. It is not what can the church offer me (transactional) but what am I called to do for God (transformational). Imagine your church making this shift in the thinking of its members? Instead of your members looking to attract more people to fill their pews instead, we are looking for ways to build an authentic community to share the gospel in Jerusalem, Samaria and to the ends of the earth. Here is how that would look. Relationships that are cultivated over a lifetime. A church that will exceed unconnected people’s expectations and surprise them with a genuine community. To be a community that shares and celebrates stories of transformation. Not that transactional is wrong, but transformation offers so much more. If you like this share it. What is culture? It is the ways of thinking, living, and behaving that define a people and underlie its achievements. It is a nation’s collective mind, its sense of right and wrong, the way it perceives reality, and its definition of self. Culture is the morals and habits a mother strives to instill in her children. It is the obligations we acknowledge toward our neighbors, our community, and our government. It is the worker’s dedication to craftsmanship and the owner’s acceptance of the responsibilities of stewardship. It is the standards we set and enforce for ourselves and for others: our definitions of duty, honor, and character. It is our collective conscience. – Robert P. Dugan, Jr., Winning the New Civil War, p. 169. One of the biggest barriers to organizational change is culture. You have a big, bold, new vision for your group but until you solve the culture issue, nothing will ever change. In this post, I will give you four key steps you can implement to shift the culture of your team and members. Describe your God-given vision repeatedly. Vision is an elusive concept. A God-given vision is one that flows from intense time with God in prayer and study. It is always larger than ourselves. You can only accomplish the vision with the power of God driving it. That being said, here is a great quote about vision. “All men dream but not equally. Those who dream by night in the dusty recesses of their minds awake to the day to find it was all vanity. But the dreamers of the day are dangerous men, for the many act out their dreams with open eyes, to make it possible…” – T.E. Lawrence. To move your people forward you must help them see their future selves in the vision you are communicating. Set up a structured training system. Where most churches fall short is training its members for service. If you want to observe this first hand at your next large gathering ask former elected officers, “What orientation and training did you receive when you were elected?” To add to the conversation share the results with us in the comment section. My mom’s favorite saying was, “You can talk until you are blue in the face.” As you attempt to get people to follow your vision, know that people will follow what you are modeling. One Sunday morning in 1865, a black man entered a fashionable church in Richmond, Virginia. When communion was served, he walked down the aisle and knelt at the altar. A rustle of resentment swept the congregation. How dare he! After all, believers in that church used the common cup. Suddenly a distinguished layman stood up, stepped forward to the altar, and knelt beside the black man. With Robert E. Lee setting the example, the rest of the congregation soon followed his lead. – Today in the Word, September 1991, p. 15. People need to see the standard you are trying to achieve lived out in you first before they will follow. Finally, to change your culture you must be willing to die to self over and over again as you invest in the lives of those around you. When the vision becomes about you and not God, you are reaching a danger zone. At every level you and your organization climb, a piece of the old you dies to allow you to reach the next level. Let me give you an example. I am not the same pastor I was when I graduated from the Seminary. In 1993, I was a “wide-eyed, transforming the world, rookie pastor.” Now some twenty-four years later I still desire to change the world, but armed with bruises from battle, I know change comes at a high cost. The cost of the death of past failures, broken relationships based on overzealous passion, and the death of a rookie’s enthusiasm, yet better positioned with a balanced view of my role in transformation. You must not take this journey alone. No one should hang around you for an extended period of time and not experience transformation. They could be transformed by the God-given vision, or the training system to equip them for service. Some will be transformed by the ministry itself, regardless if this is from God. Lives will be changed. Go, change the world with the unique vision God has implanted in your heart.